That same day Pharaoh commanded the slave masters and foremen who were over the people: 7 “You must no longer give straw to the people for making bricks as before. Let them go and collect straw for themselves. 8 But you must require of them the same quota of bricks that they were making before. Do not reduce it, for they are slackers. That is why they are crying, ‘Let us go sacrifice to our God.’ 9 Make the work harder for the men so they will keep at it and pay no attention to lying words!” (Ex. 5:6-9). That put me in mind of some bricks I saw in Egypt at Luxor. In these mud bricks you could clearly see light-colored bits of straw. 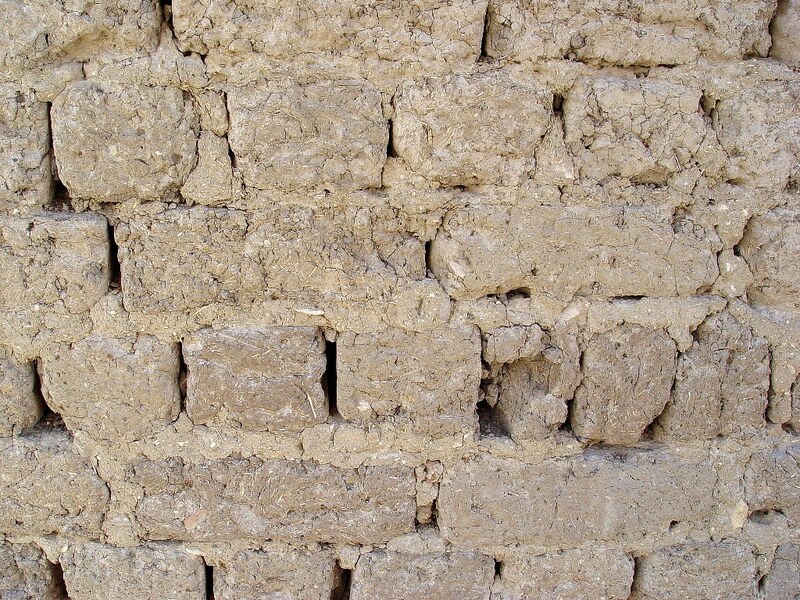 Bricks made of mud mixed with straw in Luxor, Egypt. Photo by Leon Mauldin. W. C. Kaiser writes, “Chopped straw was mixed in with the clay to make the bricks more pliable and stronger by first binding the clay together and then by decaying and releasing a humic acid similar to glutamic or gallotanic acid” (The Expositor’s Bible Commentary, Volume 2, p. 337). This entry was posted on Thursday, February 7th, 2013 at 8:55 PM and is filed under Bible History and Geography, Bible Study, Egypt, Old Testament, photography, Travel. You can follow any responses to this entry through the RSS 2.0 feed. You can leave a response, or trackback from your own site.